With many years of experience in the weight loss industry, Paleo Works provides genuine sustainable weight loss solutions and lifestyle coaching. Established in 2010, the business is situated in Ben Rhydding (Ilkley). 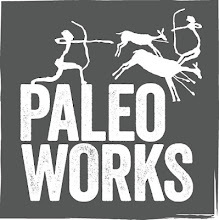 PaleoWorks Aims and Objectives are to provide education, consultation and advice based on a Paleo/Primal lifestyle and a natural diet, sometimes referred to as the Caveman or Stoneage Diet this is the Worlds Healthiest Diet. In support of this they offer The PaleoWorks Challenge, a one to one consultation and support program providing the knowledge and tools required to reach your goals. To empower others to ‘live’ a life free from worry about weight and health issues. This is the without doubt the Worlds Healthiest diet. The diet of choice for everyone regardless of shape or size. Paleo Works operate as a not for profit organisation and is focused on helping the local community by providing unbiased information relating to weight loss, well being and improving health through optimal nutrition. Call today and begin the rest of your life.